The Knox County Farm Bureau Foundation was incorporated in 1985, and was founded for the purposes of Research, Education, Conservation, and Leadership Development. The Foundation is a not-for-profit tax exempt entity that strives for development and promotion of agriculture in Knox County. There are many ways to support the continuation of strong agriculture research, education, conservation, and leadership. Contributions can be gifts of property, grain, cash, transfer of a CD, bequests, charitable remainder trusts, a matching gift, annuity trusts or a gift of life insurance. Special memorials and endowments may also be given for the establishment of ongoing programs and/or scholarships in the memory of a family member or other loved ones with the approval of the Foundation Board. If you are interested in donating to this great cause please contact the Knox County Farm Bureau Office at 342-2036 or knoxcfb@knoxcfb.org. You may also donate safely online using the Knox County Farm Bureau Foundation PayPal account by clicking on the button below. Support the Knox County Farm Bureau Foundation through AmazonSmile. 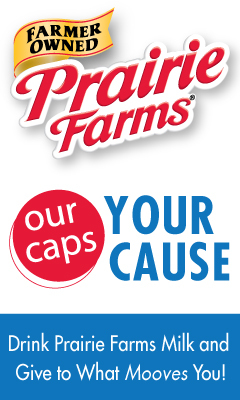 Support the Knox County Farm Bureau Foundation through Our Caps Your Cause.